Qatar Charity’s (QC) pavilion, which was held for the first time at Darb Al Saai as part of Qatar’s National Day celebrations, has witnessed a huge turnout of visitors, volunteers, and public. The Ministry of Commerce and Industry concluded on Thursday the activities of its pavilion in Darb Al Saai as part of Qatar National Day celebrations. 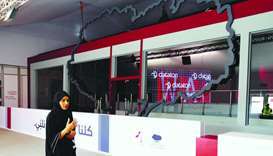 Qatar Foundation (QF) has welcomed thousands of visitors to its Darb Al Saai tent since opening last Wednesday. 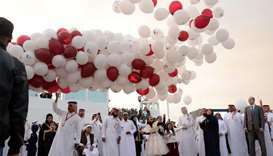 Qatar Charity (QC) has said it is participating in the National Day celebrations and events at Darb Al Saai with the support and under the supervision the Regulatory Authority for Charitable Activities. 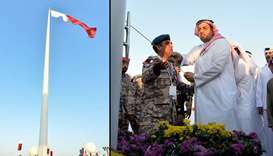 The Qatar National Day 2018 celebrations at Darb Al Saai started Wednesday with the participation of a large number of public and private entities, offering diverse activities and programmes. Qatar Foundation (QF) will celebrate Qatar National Day by hosting a range of fun and interactive activities at Darb Al Saai. 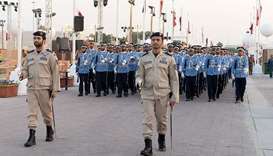 The 34th Traffic Week, which was held at Darb Al Saai recently, brought together some of Qatar’s largest driving schools and other organisations partnering with the General Directorate of Traffic. 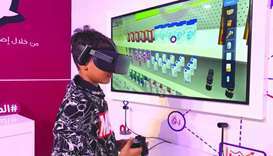 Total's activities have attracted a large number of families to the company’s booth, set up as part of its Corporate Social Responsibility (CSR).